Both Greek mythology and Roman mythology have managed to capture the collective imagination of the world as few other literary bodies of works have. Interestingly enough however, many remain clueless as to their differences, often considering them pretty much the same thing. Nothing could be further from the truth however, as you will see in this comparison article. Greek mythology predated Roman mythology by as much as 1,000 years. The most renowned example of the form is the Iliad, which achieved widespread popularity seven hundred years before Roman mythology’s the Aeneid. The Iliad was comprised of numerous myths and stories spanning over three hundred years, many of which were drawn from tales passed down by word of mouth. Although not considered a holy document by any means, the Iliad did cover the history of the Greek Gods and Goddesses, all of whom were revered by various cultures. Much of the difference between Greek mythology and Roman mythology stems from the Greek focus on life on Earth as opposed to the life after death concerns that so many other examples of literature dealt with. According to the Greeks, the value of a human being was determined by his actions during life, and that immortality lay in the contribution to the Earth. Even the Gods and Goddesses in Greek mythology were ascribed human traits, and many of their actions had to do with their relationship to humans. In contrast, Roman mythology dealt more with actions as opposed to words. 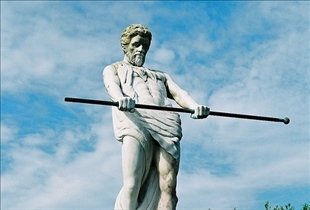 Roman mythology divided their deities into two groups: the di indigentes, which were the true gods of Rome, and the de novensides, which were gods introduced many years earlier. Greek mythology on the other hand did not make class distinctions of their gods, although they did have separate powers. The gods in Roman mythology also did not have human qualities, nor did they live in a manner similar to humans as the Greek gods did. 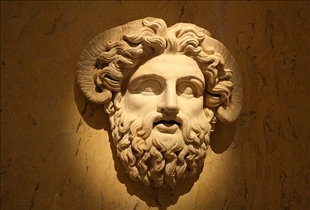 Greek gods were also further divided into deities of the Heavens, the Earth, and the Sea. Which mythology portrays more humane gods?